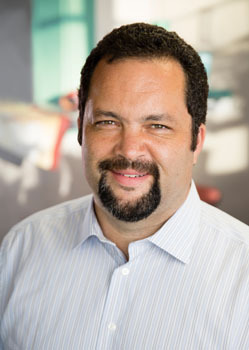 Benjamin Jealous, the civic leader and activist who helped revitalize the NAACP, will be the keynote speaker at the 33rd annual Martin Luther King Jr. Memorial Convocation in downtown Santa Cruz on Thursday, February 9. The annual convocation celebrating King’s life and legacy begins at 7 p.m. at the Santa Cruz Civic Auditorium. The event is free and open to the public. Jealous is the latest in a roster of high-profile speakers over the years. Last year’s headliner was Black Lives Matter cofounder Alicia Garza. Previous speakers include radical activist and UC Santa Cruz professor emerita Angela Davis, Harvard professor Cornel West, and celebrated author Alice Walker. Jealous led the NAACP from 2008 to 2012, when he decided to step down to spend more time with his family, pursue teaching opportunities, and devote his time to supporting African American candidates for political office. He was the youngest president the organization has ever had in its 108-year history; at the time of his election to NAACP president, he was only 35. But his career with the venerable civil rights organization goes back even longer than that; he started out at the NAACP as a mail opener at the group’s Legal Defense Fund when he was only a teenager. The Washington Post said the NAACP greatly increased its profile during Jealous’s tenure by focusing on “technological savvy,” bolstering its numbers of mobile subscribers and its email list while growing its revenue. In the process it became the nation’s largest nonpartisan and community-based voter registration operation. The progressive activist and television commentator Van Jones—the UC Santa Cruz Martin Luther King Jr. Memorial Convocation speaker in 2009—praised Jealous’s work with the NAACP in an interview with the Post. A Rhodes Scholar, Jealous was named by both Fortune and Time magazines to their “Top 40 under 40” lists, and was named a Young Global Leader by the World Economic Forum. Jealous has led movements to ban racial profiling and the death penalty and defend voting rights. He is currently a partner at Kapor Capital, based in Silicon Valley, where he is working to increase opportunities for minorities in the tech economy. During the convocation, audience members will also get to meet this year’s recipient of the Tony Hill Award, recognizing individuals whose lives and actions exemplify the late Tony Hill’s work and legacy. Hill, a longtime advocate for social and economic justice in Santa Cruz County, was known for his skills as a community bridge-builder and mediator. He died in 2007 at age 62.